We’re happy to announce that the Axe Files is joining the <a href="https://luminarypodcasts.com/">Luminary podcast network</a>! Go to <a href="http://luminary.link/theaxefiles">luminary.link/theaxefiles</a> and sign up before April 22 to get your first three months for free and only $6.99 a month after that for the first year – which is $1 off the monthly subscription fee. The subscription fee allows us to deliver you episodes and our full archive completely ad-free.&nbsp;<br>On April 23 you can download the Luminary app for free and listen to the Axe Files there. Then on May 20 our show will only be available on the Luminary app for Premium subscribers.<br><br>Luminary is a new podcast company that is exclusively devoted to podcasts. We will be joining them as a podcast for Premium subscribers, allowing us to deliver ad-free content to you in perpetuity. With a premium subscription you will have access to all of our future shows, ad-free archives, and dozens of other exclusive shows, including ones with hosts like Guy Raz, Lena Dunham, Trevor Noah, Leon Neyfakh the creator of Slow Burn, Hannibal Buress, Celeste Barber, and podcasts from Conan O’Brien’s Team Coco and Bill Simmons’ The Ringer.&nbsp;<br>We love doing this show for you guys and there are many more great Axe Files conversations coming your way via Luminary. Congressman Eric Swalwell represents California's 15th district and serves on the House Intelligence Committee. He joins the show to discuss the House investigation into Russia's meddling in the 2016 election, what the incoming Democratic majority in the House means for President Trump, and his ambitions for the 2020 race for president. Howard Wolfson is the former Deputy Mayor of New York City, counselor to former NYC mayor Michael Bloomberg, co-chief strategist and communications director on Hillary Clinton’s 2008 presidential campaign, and currently leads the Education division of Bloomberg Philanthropies. He joins David to talk about his mother’s battle with chronic depression, his decision to abandon journalism and pursue political strategy, the New York City media market and Donald Trump’s instinctive mastery of it, his experience working for Chuck Schumer, Hillary Clinton, and Michael Bloomberg – and the possibility of a 2020 presidential bid from Bloomberg. Bryan Stevenson is a lawyer, activist, author, and founder/executive director of the Equal Justice Initiative, a non-profit organization that provides legal aid to prisoners lacking effective representation. He joins David to talk about his experience growing up in a segregated county in southern Delaware, the national narrative of racial difference prevailing even after the Civil War, its implications on present-day politics, and his personal mission to provide legal aid to those disenfranchised by the U.S. criminal justice system. His best-selling book, "Just Mercy: A Story of Justice and Redemption," chronicles the true stories of inmates on death row that Stevenson represented. Jeff Zucker, president of CNN, sits down with David to talk about how a rejection from Harvard Law School paved the way for his meteoric rise as a media executive; his break up with NBC; the health scares that nearly claimed his life; and his unique perspective on Donald Trump–whose reality TV career he helped launch. Zucker shares his philosophy of the modern news model, and CNN’s role within it, in the age of Trump – and much more. Amanda Carpenter is a conservative commentator, author, and former senior communications advisor and speechwriter to Senator Ted Cruz. She sits down with David to discuss the challenges of being raised by a single mother, the sports injury that fatefully led her to journalism, Trump’s rebranding of the Republican Party, her take on Beto O’Rourke’s unlikely campaign against Sen. Cruz, and more. Her book, Gaslighting America: Why We Love It When Trump Lies to Us, draws on her experience as a top aide to Sen. Cruz to deconstruct Trump’s manipulative “fake narrative” strategies and prescribes ways in which to withstand it. Chris Dodd is the former and longest-serving U.S. Senator from Connecticut. He joins David to talk about the influence of his late father, Sen. Thomas Dodd; the formative friendships he forged and lessons learned throughout his nearly four decades of serving in Congress; his motivation behind co-authoring the Dodd Frank Act, a massive piece of financial reform legislation; and why he believes there is reason to be optimistic about the future of American politics. Khizr Khan is a Gold Star father best known for his iconic speech at the 2016 Democratic National Convention honoring his late son, Humayan Khan, a U.S. Army captain killed in the Iraq War. He joins David to discuss what led him from poverty in Pakistan to the pursuit of law in the United States, the experiences that informed his belief in American exceptionalism, his son’s military service and the day he died, and the impact Donald Trump’s rhetoric towards Muslims and immigrants has both domestically and globally. Ana Navarro, GOP strategist and political commentator for CNN, joins David to talk about how her Nicaraguan upbringing shapes her view of U.S. immigration policy, the impact of the evolving landscape of the Republican Party and what she dubs the “Trumpification” of the GOP, and how the increasingly tribal nature of our politics is shaping institutions from Congress to the courts. Steven Pearlstein is a Pulitzer Prize-winning business and economics columnist for The Washington Post. He joins David to chat about his beginnings in business writing, how to interpret the country’s record levels of deficit and present state of the economy, and the potential impact Brett Kavanaugh will have on the Supreme Court. They also discuss Pearlstein’s new book – Can American Capitalism Survive? – which explores how American capitalism has lost its moral legitimacy. Chuck Todd is a longtime political journalist and current host of NBC's Meet the Press. He joins David to talk about his father’s struggle with alcoholism and the impact of his premature death; the celebrification of politics and the 21st-century media strategy he thinks works; and what he believes to be both Donald Trump’s greatest strength and greatest weakness. Roberta Jacobson is an American diplomat who served as the U.S. Ambassador to Mexico until May of 2018. She joins David to discuss the diplomatic tension between the U.S. and Mexico, the Trump administration's relationship with the United Nations, her work normalizing relations with Cuba under the Obama administration, and more. Peter Sagal is the author of The Incomplete Book of Running and host of NPR's Wait, Wait, Don't Tell Me. He joins David to discuss a variety of topics including getting passed on by the Harvard Lampoon, appearing on Jeopardy as struggling writer in Los Angeles, his early work as a playwright, and crossing the finish line just minutes before the attack on the Boston Marathon. Bob Shrum is a longtime Democratic campaign strategist and speechwriter. He joins David to discuss his new Institute for the Political Future, volunteering for Citizens for Kennedy as a college student, how to marry a candidate with a message, and much more. Pod Save America co-host and former speechwriter for President Barack Obama Jon Lovett joins the show to talk about the art of speechwriting, his experience working with Hillary Clinton prior to joining the Obama White House, and what the future holds for Crooked Media. Part two of our Special Olympics series. Anne Burke, founder of the Special Olympics and a Supreme Court Justice in Illinois for the First Judicial District, joins David to talk about how coming to terms with her own disability undergirded her decision to help those with special needs, why Eunice Kennedy’s use of the word “unacceptable” defined Anne’s fight for the cause, and how adopting several foster children from abject circumstances shaped her world view. Part one of this week’s two episode series honoring the 50th anniversary of the Special Olympics. Timothy Shriver is the Chairman of the Special Olympics and son of legendary public servants Eunice Kennedy and Sargent Shriver. He sits down with David to talk about growing up in a family nestled in the public eye, the little-known impact of the “forgotten” Kennedy sibling, Rosemary, and why Tim has devoted his life’s work to leveling the playing field for people with special needs. Dan Pfeiffer is a former Senior Advisor to Barack Obama, co-host on the Pod Save America podcast, and author of the book Yes We (Still) Can: Politics in the Age of Obama, Twitter, and Trump. He joins David to discuss his time in the Obama White House, the balance between civility and protest, the Supreme Court battle, and more. Dr. Nneka Jones Tapia is a clinical psychologist who in 2015 became the Executive Director of the Cook County Jail, the largest jail in America. She was the first mental health professional to run a jail in the US. The Cook County Sheriff calls the jail the largest mental health institution in the country. Nneka joins David to discuss her own experience growing up with an incarcerated father, her time at the Cook County Jail, and her new role with Chicago Beyond, where she will focus on how to better support children with incarcerated parents. 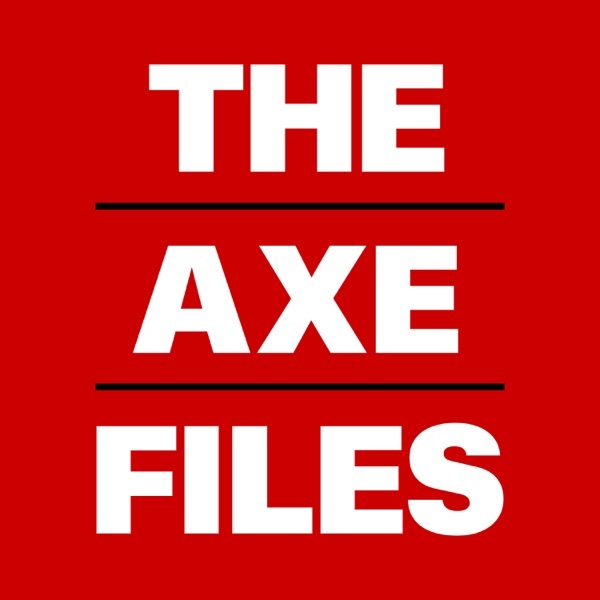 Senator Marco Rubio, the son of Cuban immigrants, joins David for the Axe Files on CNN to discuss the ongoing battle at the border, the Trump administration’s zero tolerance policy, the Mueller investigation, and Republicans’ relationship with the President. John Farrell, award-winning presidential historian and journalist, joins David to chat about why local newspapers now struggle for survival, his work on the Boston Globe’s famous ‘Spotlight’ team, and why he thinks our current political climate is a product of the Nixon era. Rachel Maddow, host of MSNBC’s The Rachel Maddow Show, joins David to talk about growing up as a liberal activist in a conservative town, her unique philosophy on newscasting in the Trump era, and lessons she’s learned from her lifelong battle with cyclical depression. Tom Donilon, former National Security Adviser to Barack Obama, chats with David Axelrod about his experience running President Jimmy Carter’s delegate operation during Ted Kennedy’s 1980 convention challenge as a 23-year-old, why he believes the U.S. pulling out the Iran Nuclear Deal was the worst diplomatic move since the Iraq War, and why a strategy that focuses on bilateral deals poses a structural problem for U.S. foreign policy interests – particularly when it comes to China. Savannah Guthrie is a journalist, attorney, and co-anchor of the NBC News morning show Today. She recently sat down with David to talk about the impact of losing her father at a young age, how her Christian faith undergirded her journey from high-school slacker to Georgetown law standout, and her take on former Today co-host Matt Lauer’s firing following a slew of sexual assault allegations. Former Deputy Attorney General Sally Yates, in an extended conversation with David Axelrod from the Axe Files TV show on CNN, talks about her formative experiences in the law as well as her tenure as acting Attorney General and the legal travails of the Trump administration. Michael Avenatti, the high-profile attorney representing Stormy Daniels, joins David to chat about how the loss of his father’s job when he was a teenager fueled his own ambitions, his passion for racecar driving, the slew of hard-hitting legal cases he’s been involved in, and what he thinks the outcome of the Stormy Daniels case will be. Andrea Mitchell, anchor and Chief Foreign Affairs Correspondent for NBC News, joins David for a conversation about upheaval in Trump's State Department and the new dynamics that will govern Trump's foreign policy moving forward, looking ahead to a potential face-to-face meeting with Kim Jong-Un. Ana Marie Cox, host of the podcast "With Friends Like These," joins David at South By Southwest to discuss her career in journalism from Wonkette to MTV and how an attempted suicide seven years ago in Texas changed her life and led her to turn to faith. CNN Chief International Correspondent Christiane Amanpour joins David in London to discuss growing up in Iran during the revolution, her experience covering the first Gulf War, her relationship with John F. Kennedy Jr., the refugee crisis, and much more. The tables have turned as David joins hosts Katie Couric and Brian Goldsmith on the Katie Couric podcast to talk about his career in politics and journalism, what the election of Donald Trump means for the country, how he feels about the attempted undoing of Obama's legacy, and much more. Don Rose, legendary Chicago political consultant and former press secretary to Martin Luther King Jr., joins David to talk about his role in the civil rights movement from a very early age, how he helped organize the 1968 Democratic Convention protests in Chicago, what the recent attacks in Charlottesville mean for the future of our country, and more. Chicago Mayor Rahm Emanuel reacts to Trump's controversial statements on Charlottesville, discusses the city's lawsuit over the Trump administration's immigration policies, shares his advice for the Democratic Party ahead of the 2018 midterms, and more. Bill Daley, former White House chief of staff to President Obama and Secretary of Commerce under President Clinton, chats with David about his father's and his brother's tenures as mayors of Chicago, the consequences of NAFTA, the build-up to the Osama bin Laden raid in 2011, and how chaos in the Trump administration is a reflection of the President. Alfredo Corchado, author and journalist at the Dallas Morning News, talks with David Axelrod about the two chance encounters that inspired him to pursue a career in journalism, the dangers he and others have experienced while reporting on the Mexican drug cartels, and how corruption and crime in Mexico may propel a populist presidential candidate to victory in next year's election. Brian Deese, former senior advisor to President Obama, talks with David Axelrod about the instrumental role Deese played in the 2009 auto bailout, the consequences associated with rolling back financial regulatory reforms, and why he believes the Obama administration's climate change policy should be preserved. Grover Norquist, political advocate and president of Americans for Tax Reform, talks with David Axelrod about how he envisioned his anti-tax pledge as a young boy, his hopes for tax reform under the Trump administration, and what it was like to win the annual "D.C.'s Funniest Celebrity" comedy competition. Jerry Brown, the governor of California, talks with David Axelrod about the lessons he's learned from a remarkable career in American politics, his advice for an embattled President Trump, what the Democratic Party can do to improve its standing in the aftermath of the 2016 election, and why California will continue to be a progressive stronghold in the era of Trump. Chelsea Handler, comedian and creator of the Netflix show "Chelsea," sits down with David Axelrod to discuss the work she's doing on behalf of Syrian refugees, why the election of Donald Trump compelled her to become more politically active, and how a speech at a DUI class led her to pursue a career in comedy. John Kasich, the governor of Ohio and former presidential candidate, talks with David Axelrod about his working-class upbringing in McKees Rocks, Pennsylvania; his assessment of the opening months of the Trump administration; and what his political future might hold in 2020. Shailagh Murray, former senior advisor to President Obama, talks with David Axelrod about the decades she spent as a journalist before transitioning into government service, the changing nature of the President's bully pulpit in the 21st century media environment, and why she believes Mitch McConnell's electoral successes haven't produced tangible benefits for the country. Dan Shapiro, the former ambassador to Israel during the Obama administration, talks with David Axelrod about the prospects for Middle East peace, his assessment of the State Department's performance in the opening months of the Trump administration, and why he believes the Iranian nuclear deal was in the best interest of the United States. Adam Schiff, congressman from California and leading Democrat on the House Intelligence Committee, talks with David Axelrod about his committee's investigation into possible connections between the Russians who interfered in the U.S. presidential election and associates of Donald Trump; America's options to de-escalate or resolve tensions with North Korea; and why he believes we should reform some of the U.S. intelligence community's surveillance methods. Lisa Monaco, the former homeland security adviser to President Obama, talks with David Axelrod about what she thinks are the greatest threats facing America today, why the Trump administration's travel ban hurts our counterterrorism efforts, and why she believes Russia's incursion into our election has opened a new phase in cyberwarfare. Ben Smith, the editor-in-chief of BuzzFeed, talks with David Axelrod about BuzzFeed's approach to journalism and how he responds to the organization's critics, why Donald Trump has reenergized the news media, why BuzzFeed decided to publish the Trump dossier without verifying its claims, and how the Clinton campaign in 2016 overcompensated for its mistakes in 2008. Julián Castro, the former Secretary of Housing and Urban Development, talks with David Axelrod about why Housing and Urban Development programs are important to rural and urban communities and should be preserved; Donald Trump's strained relationship with the Latino community; the lessons Democrats can learn from 2016; and whether he plans to run for office again. Wendy Sherman, the former lead negotiator on the Iran nuclear deal, talks with David Axelrod about how her experience in social work prepared her for a career in politics and international diplomacy; the inner-workings of the Iran nuclear deal; and what the world must do to stabilize the belligerent regime in North Korea. Michael Froman, the former U.S. Trade Representative, talks with David Axelrod about why technology and not free trade poses the biggest threat to middle class jobs and wages in America; what the U.S. stands to lose by withdrawing from the Trans-Pacific Partnership trade agreement; and why American workers will be harmed by Donald Trump’s global trade policies. Pete Buttigieg, the mayor of South Bend, Indiana, talks with David Axelrod about Donald Trump’s appeal in communities like South Bend; how urban economies can thrive amid the challenges posed by globalization; why he ran for chairman of the Democratic National Committee and his advice to the winner, Tom Perez; and why it’s “self-defeating” in the Trump era for Democrats to target other Democrats. Kamala Harris, the newly-elected senator from California, talks with David Axelrod about the prospects for criminal justice reform legislation in Congress, why she believes President Trump’s Supreme Court nominee must be approved with 60 votes, her argument for why Democrats should stop their infighting and unify against the Trump agenda, and how she’s adjusting to life in the Senate. Madeleine Albright, the former Secretary of State, speaks with David Axelrod about her experiences as a young political refugee in the 1940s and how that shapes her view of President Trump’s travel ban; the effect the Trump presidency is having on the global order; why it’s important for the U.S. to stay engaged in the world; and her view on Steve Bannon’s role within the White House. Jeffrey Goldberg, editor in chief of The Atlantic magazine, talks with David Axelrod about the prospects for Middle East peace during the Trump administration, the demands of leading a news organization in the Trump era, and what Trump’s foreign policy intentions could mean for global stability. Corey Lewandowski, the campaign manager to Donald Trump throughout the Republican primary, talks with David Axelrod about the career he led prior to becoming a figure in national politics, his response to reports alleging that Trump campaign officials were in constant communication during the presidential campaign with suspected Russian officials, and how the Trump White House can reset and move past its turbulent first month. Mike Leavitt, former governor of Utah, talks with David Axelrod about the Republican path forward on the Affordable Care Act, the health care lessons he learned serving as President Bush’s Health and Human Services Secretary, his views as a former EPA administrator on effective ways in which to address climate change, and much more. J.D. Vance, author of the bestselling book Hillbilly Elegy, talks with David Axelrod about what it was that attracted working class voters to President Trump, why he’s so concerned by the clustering of homogenous communities in America, and what he thinks could be done to help address the social and economic difficulties in rural and urban areas of the country. Matt Bai, the national political columnist for Yahoo! News, talks with David Axelrod about the intersection between politics, media, and celebrity; the media’s role in Donald Trump’s political rise; and how news organizations can effectively cover President Trump and the new administration. Thomas Friedman, three-time Pulitzer Prize-winning columnist for The New York Times, talks with David Axelrod about the prospects for the Middle East peace process in the Trump era, the rapid changes transforming society which he chronicles in his latest book, and why he disagrees with President Obama's decision to not pursue more direct American intervention in the Syrian civil war. Chris Wallace, the longtime journalist and host of Fox News Sunday, talks with David Axelrod about why Ronald Reagan’s 1980 presidential campaign was the best he ever covered; why he thinks the Obama administration could have done better at outreach to Republicans; and how he views some of the potential changes that may be coming for the White House Press Corps. Sean Spicer, incoming White House Press Secretary and Communications Director for Donald Trump, talks with David Axelrod about what he hopes to achieve in his new job, Trump’s skepticism toward the intelligence community’s assessment of the Russian hacking issue, why Trump will govern with a mandate, and what to expect from the first 100 days of a Trump administration. Denis McDonough, the White House Chief of Staff, talks with David Axelrod about how growing up in a house with ten brothers and sisters was good preparation for life, why he thinks it would prove difficult for the next administration to undo aspects of President Obama’s domestic policies, and the greatest disappointments from his White House tenure. Douglas Alexander, former British Labour politician and U.K. Cabinet Minister, chats with David Axelrod about how the closure of a car plant ignited his interest in politics, Britain’s decision to leave the European Union, Donald Trump’s victory in the U.S. presidential election, and more. DeRay Mckesson, one of the most prominent leaders in the Black Lives Matter movement, talks to David about his decision to endorse Hillary Clinton’s candidacy, his organization’s work to end police violence, the importance of public education, and his turbulent childhood in inner-city Baltimore. Carl Hulse, chief Washington correspondent for The New York Times, reflects on how Congress has changed during his years covering the institution, discusses what Paul Ryan’s political future may hold, and provides some insight into how Merrick Garland’s Supreme Court nomination might play out after the presidential election. Tim Kaine, the Democratic Vice Presidential nominee and senator from Virginia, talks to David about his experience doing missionary work in Honduras with the Jesuits and the liberation theology he was exposed to there, why Congress should pass a new military authorization to fight ISIS, and why it’s better to choose optimism over pessimism. Lin-Manuel Miranda, creator of the hit Broadway musical "Hamilton," talks to David about what he learned from meeting Stephen Sondheim in high school, what would surprise the Founders about our politics today, his advocacy for Puerto Rico as Congress debated how to address the island's debt crisis, and why he can't allow his creative output to be held captive to his own successes. Barney Frank, longtime former congressman from Massachusetts, talks with David about his involvement in the civil rights movement, the challenges he faced as a gay man in public life in the 1970s, his work on the landmark Dodd-Frank financial reform legislation, and what Congress needs to do to start functioning again. EJ Dionne, long-time op-ed columnist for The Washington Post and author of “Why the Right Went Wrong", chats with David about his start in journalism, the Catholic Church under Pope Francis, what Donald Trump and Hillary Clinton need to do to win the election, and more. Caroline Kennedy, U.S. Ambassador to Japan, sits down with David to discuss her memories of the White House, her mother’s strength in the wake of her father’s death, her wide-ranging career from the New York City Dept. of Education to her current role in Asia, and more. Academy Award-winning screenwriter of 'The Imitation Game' Graham Moore sits down with David to discuss what motivated him to speak publicly about his struggles with mental illness, why he likes writing historical fiction, his love of science, his new novel, and more. Father Michael Pfleger, senior pastor at Saint Sabina Church and social activist on Chicago's South Side, sits down with David to discuss violence and police accountability in Chicago and across the nation, the influence that Martin Luther King Jr. had on him as a young boy, his thoughts on Hillary Clinton, and more. Mark McKinnon, a veteran GOP strategist who was chief media advisor for President George W. Bush’s campaigns in 2000 and 2004, sits down with David at the Republican national convention in Cleveland to discuss his switch from the Democratic to the Republican Party, his media career and political reform projects, and more. Hugh Hewitt, columnist and radio host of "The Hugh Hewitt Show," talks to David about his time as a young researcher to President Richard Nixon, how he went from describing Trump as a “stage-IV cancer” to supporting his candidacy, his thoughts on Hillary Clinton and Judge Merrick Garland, and more. Jeffrey DeLaurentis, chief of mission at the U.S. Embassy in Havana, Cuba, sits down with David to discuss his career at the State Department, his three posts in Cuba, the Obama administration’s push to normalize relations between the two countries, and much more. Newton Minow, former chairman of the Federal Communications Commission, sits down with David to discuss the clandestine role he and his agency played during the Cuban missile crisis, his personal reminiscences of Lyndon Johnson, Adlai Stevenson and others, the legacy of President Obama, and more. Isaac Lee, chief news and digital officer of Univision News and CEO of Fusion, chats with David about his grandfather fighting the Nazis and later moving to Colombia, the death threats Lee received as editor in chief of one of Colombia's leading investigative magazines, how millennials consume news today, and his concerns about Donald Trump. Beth Myers, who served as senior adviser to Mitt Romney on his 2008 and 2012 presidential campaigns, sits down with David to discuss her wide-ranging career from working with Karl Rove in Texas to Romney in Massachusetts, the state of the Republican Party in 2016, and how a recent stroke changed her life. Katie Couric, global anchor for Yahoo News, sits down with David in her New York apartment to discuss her wide-ranging journalism career from 9/11 to “The Today Show” to her 2008 interview with Sarah Palin, her views on the current media landscape, and the 1998 death of her husband Jay after a nine-month battle with colon cancer. Samantha Power, U.S. Ambassador to the United Nations, chats with David in New York about growing up in Ireland, how she went from a sports reporter at Yale to writing a Pulitzer Prize-winning book on U.S. foreign policy, and her take on the Obama administration's approach to conflicts in Libya, Syria, and elsewhere. Michael Nutter, former mayor of Philadelphia, speaks with David about going from nightclub disc jockey to City Council representative to mayor of the country’s fifth-largest city, his views on how to improve community policing, and his take on a possible Donald Trump vs. Hillary Clinton general election. Republican strategist Mike Murphy sits down with David at the Institute of Politics to discuss his time at Georgetown as a member of the College Republicans, his time on the McCain campaign’s Straight Talk Express in 2000, his assessment of Jeb Bush’s failed bid for the Republican nomination, and more. David Plouffe, former campaign manager for President Obama and currently a top adviser at Uber, chats with David Axelrod about his start in politics working for Sen. Tom Harkin in Iowa, Obama’s election in 2008, the use of data in campaigns, and his assessment of the 2016 race for the White House. National Journal Political Columnist Ron Fournier sits down with David to talk about his new book, "Love That Boy," and the lessons he learned raising an autistic son, as well as his time covering the Clinton White House, his assessment of Hillary, and the clamor for change in Washington. Abner Mikva, a 60-plus year veteran of politics and public service, including stints in the Illinois statehouse, Congress, and the Federal Court of Appeals, joins David to examine his journey through political history, how Congress has changed, the ongoing Supreme Court nomination debate, and more. Dan Balz, political reporter at The Washington Post, sits down with David to discuss his start in journalism at the University of Illinois, his career covering politics, and his thoughts on the 2016 presidential race, including why he thinks the eventual winner will have a difficult time governing. The refusal of Senate Republicans to consider President Obama's Supreme Court nominee Merrick Garland until after the 2016 election is an "unprecedented" move, says former Obama Administration official Ron Klain. Klain also touches on his work overseeing the Obama Administration's economic stimulus bill and coordinating its response to the Ebola outbreak, as well as his assessment of the ongoing Democratic primary. Mark Leibovich, the chief national correspondent for The New York Times Magazine and author of "This Town," chats with David about his start in journalism, his nearly two decades living in Washington, D.C., and his thoughts on Donald Trump's successes and what a Trump vs. Hillary Clinton campaign would look like. Sen. Lindsey Graham (R-SC) spends his Super Tuesday talking with David on Capitol Hill about why he opposes GOP frontrunner Donald Trump, why he thinks the Republican Party is falling apart, and how his parents' owning a bar in a small South Carolina town helped prepare him for a career in politics. Conservative commentator Erick Erickson sits down with David to discuss his childhood abroad, his opposition to GOP frontrunner Donald Trump, and his stance on the ongoing debate over whether Republicans should confirm a Supreme Court nominee before the end of President Obama's second term. Joel Benenson, senior strategist for Hillary Clinton, chats with David in Manchester, New Hampshire, about his journey from working for a beer distributor in New York to being a top campaign strategist, Clinton's chances in the Feb. 9 primary, the art of polling, and more. Juliet Macur, a Sports of the Times columnist at The New York Times, chats with David about her father's amazing journey from a Nazi concentration camp to New Jersey, her widely acclaimed book on Lance Armstrong's rise and fall, and hot-button issues such as the NFL's concussion crisis, the recent accusations of match-fixing in tennis, and the FIFA corruption scandal. Jennifer Jacobs, the chief political reporter for The Des Moines Register, speaks with David about the uniqueness of the Iowa caucus process, how candidates on both sides of the aisle are faring heading into Monday's voting, and who might be rethinking their candidacies once the votes are tallied. Arne Duncan, who stepped down as U.S. Secretary of Education at the start of this year, chats with David about his childhood in Hyde Park, his tenure as a member of the president's cabinet, and the gun violence and education problems facing the city of Chicago.